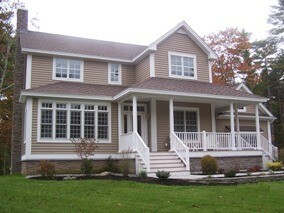 Maine Building & Development is a true Custom Home Builder. When it comes to deciding what type or style home you want to build, MBD can do it all. Please look at our Log Home and Modular Home services in their designated location listed under Services …but here; let’s talk about traditional “Stick-Built” Homes. MBD is known for the quality of its conventionally built homes. This means the design is provided by an architect or home designer. The materials are delivered to the site and erected / built by a team of carpenters (framers, roofers, siders, and interior finish specialists). This process is the opposite of a Log Home kit or a Modular Home being built at a factory and delivered to the site. The conventional home is more traditional in its design and construction. 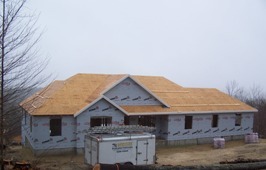 There are many quality homebuilders in Maine & New Hampshire, and MBD is one of them. We make no claims to be the best, because everyone has a different definition of what constitutes the qualities of “the best” of anything. We know our potential home buyers appreciate the fact that we are proud of our homes, yet humbled by our success. That being said, we are certainly proud to be considered as one of the most professional custom homebuilders in both states. Please refer to our References Section and let our past clients speak for us. Please notice that unlike most homebuilder’s websites, we are not simply quoting a “line or two” from a letter, we are giving you paragraphs of the actual testimonial, and we offer all of these (in full) upon request. After all, isn’t it better to hear from our clients, than from us? 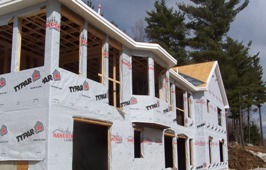 When it comes to traditional stick-built homes, you can rest assure that you are in the hands of a professional company with Maine Building & Development.